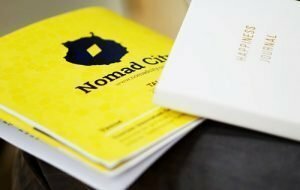 Nomad City is a yearly event focusing on remote work, distributed companies, and location independent entrepreneurship. Place: Las Palmas de Gran Canaria, Spain. Start Date: 7th November 2019. Finish Date: 9th November 2019. If you want to get a discount, don’t forget to subscribe to our newsletter! Nomad City is a fantastic opportunity to network with other entrepreneurs and remote workers from around the globe, learn how to find a remote job, improve your skills as a remote worker, or optimize and manage your remote company efficiently. During Nomad City we celebrate the freedom and lifestyle that remote work offers, and we do it at one of the best places to work remotely from, the beautiful island of Gran Canaria. Place: Las Palmas de Gran Canaria. Spain. Date: 8th – 14th October 2018. Date: 18th – 24th September 2017. Date: 5th – 9th December 2016.